Personalized wine bottles, custom murals, and elaborate flower arrangements that are all basically done for you! 1. A zodiac pendant necklace so you can say "it's ok that you're a Scorpio, I still love you." Get it from Amazon for $12.99. Available in all 12 zodiac signs. 2. A golden fountain pen with a fine nib that'll make them say "OMG! You spent so much money!" And you will say, "yes, yes I did." It comes with one black ink cartridge, one press plate converter, and one gold barrel! Promising review: "I am fairly new to the world of fountain pens but I am already blown away by what a good value these Pilot pens are. The brass body gives the pen a nice heft and makes it feel like a much more luxurious writing instrument than the price tag would suggest. Writing with the fine steel nib is extremely smooth with no skipping or flow issues on both the gold and black models." —Ben R.
Get it from Amazon for $14.96 (available in three colors and four styles). 3. A set of all-natural face masks with an array of super-beneficial ingredients like roses, lemons, and lavender for reminding them they deserve a spa day, which you will create at home because $$. Get them from Amazon for $3 each. 4. A hands-free, voice-controlled Echo Dot so you LOOK like you got an impressive, techy gift, but really you just don't have to help out with as much anymore. Use Alexa to play music (via speakers and bluetooth), control smart home devices, make calls, send and receive messages, provide information, read the news, set music alarms, read audiobooks from Audible, control Amazon Video on Fire TV, and essentially just take over the world why are humans still here. You can even order an Uber on it! Get it from Amazon for $39.99. Available in black and white. 5. A choice of widely-loved Pixi skin care products to make them *glow* with happiness while staying well under budget. With ingredeints like 5% glyolic acid, aloe vera, and ginseng these soothing masks, toners, and serums gently exfoliate and nourish to bring out skin's natural glow. Not only that, but they're also cruelty-free!! Get them from Target: Mud cleanser for $18, glow tonic for $15, and glow serum for $24. 6. A seriously lovable white carnation and rose display that'll *almost* be like buying them a real puppy or kitten. Maybe next year, right?? 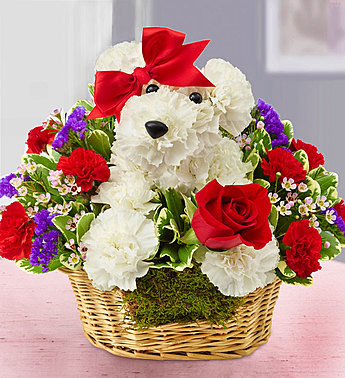 Get them from 1-800 Flowers: dog for $59.99 and cat for $54.99. 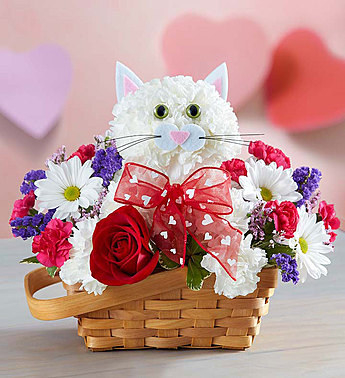 Or follow this link to get a BuzzFeed exclusive deal: a dozen red roses plus a free premium vase for only $29.99! 7. An ultra-thin quartz analog watch with a sleek leather band, because Rolex ain't cheap and this is still *timeless*. Get it from Amazon for $24.78+ (available in five styles). 8. A pencil cup styled after a Hemingway typewriter so your favorite writer is always inspired at their desk, thanks to you. 9. A Fenty plush matte lipstick to prove you really were paying attention when they dropped not-so-subtle hint after hint whenever Rihanna popped up on Instagram. Get it from Sephora for $18. Available in 14 colors. 10. 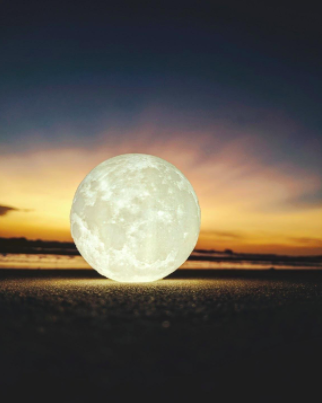 A touch-activated moon lamp made from cool 3D-printing technology that'll be even better than empty promises to lasso the moon, George Bailey. It's made by 3D printer and layered until it really resembles the moon! It's completely made from corn stalks (yep) and smooth, non-toxic, odorless, and environmentally-friendly materials. AND it can be degraded, unlike Twinkies. 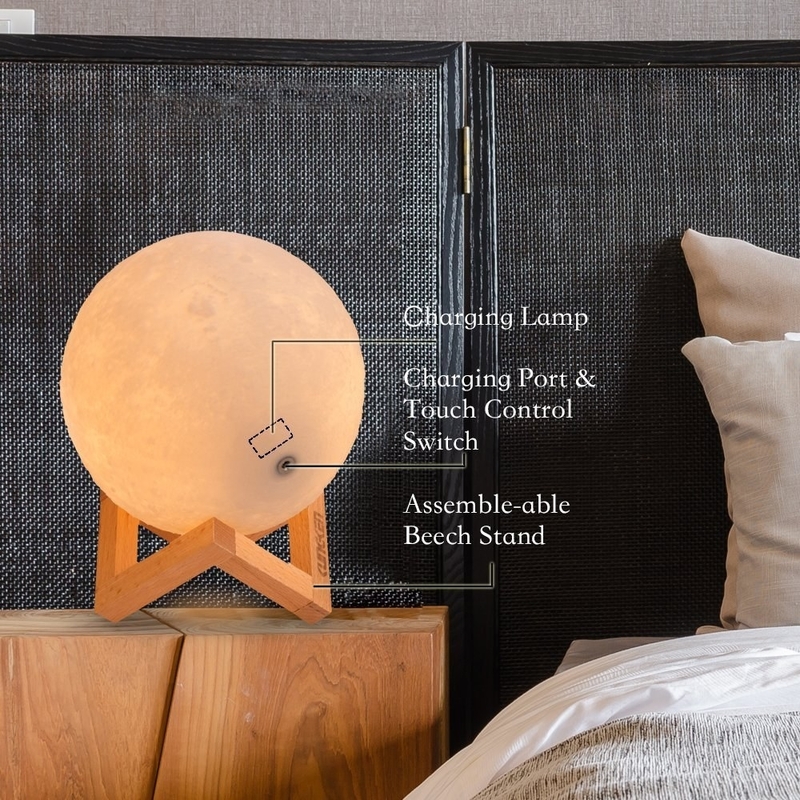 Each package includes one gift bag and bag, one night light, one charging cable and charger, and one wooden mount! Get it from Amazon for $28.99+ (available in four sizes). 11. A pack of unique chocolate with flavors like mint matcha, *bacon*, and pink Himalayan salt, because anyone can buy heart-shaped candy but these will just knock out those tastebuds. Get a two-pack from Amazon for $14.99 (vailable in 16 flavors). 12. An inexpensive four-pack of lace bralettes so you don't blow your entire paycheck on pretty lingerie — and they'll get more for your buck! Get it from Amazon for $14.98+ (available in sizes S–L). 13. A portable bluetooth speaker to blast "My Boo" until they yell, "I GET IT YOU LOVE ME." Oh, and if they think you got this fancy-looking device at Brookstone, so be it. Plus, gift wrap is available! It's compatible with just about everything (IOS, Android, and most bluetooth-enabled smartphones, tablets, and personal computers), and can play up to six hours just on battery. But it's also chargeable! AND it's under 10 ounces (v light) and has a built-in mic for hands-free calling. 14. A 30-day cooking challenge notepad that'll keep you busy making interesting meals for your petit chou all month long. They are not lying when they say the best way to the heart is through the stomach. Get it from Urban Outfitters for $12. Available in six types of 30-day challenges. 15. 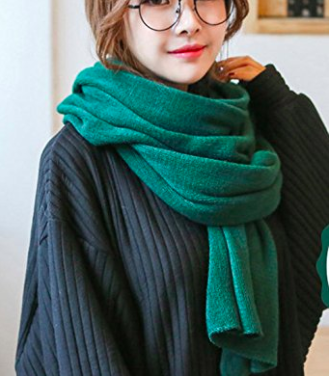 An extremely soft scarf, because buying cashmere might cancel being able to pay rent. But this is just as cozy and fashionable! Happy and warm = romantic evening. Get it on Amazon for $12.99+. Available in 16 colors. 16. A subscription to Blue Apron so Michelin stars mean phooey after a week of delicious, high-end dates right at home. Based on your two-person (or family) meal plan, select three+ meals (i.e. honey-lime chicken tostadas, Chile butter steaks, or shitake and black garlic ramen) for each week. $60 covers a one-week delivery of a two-person meal plan (three recipes per week). But more options are available! Btw, everything is sustainably sourced and farm-fresh! 17. An 14K gold-plated adjustable ring with their first initial to hold them over until you can get some diamonds — but will those acknowledge their name?? I think not. Get it from Amazon for $12.99 (available in A–Z). 18. A pair of concert tickets that'll make as many memories as they will save you time shopping. Some of the MANY artists you can choose from now include Elton John, Taylor Swift, and Ed Sheeran! Or if you're more of a sports couple, there's everything from basketball to hockey. Check out all the available concerts near you at SeatGeek. 19. A set of cosmetic brushes with soft bristles, because makeup addicts are expensive, people, and these will more than ~cover up~ thrifty spending. Get a 10-pack from Amazon for $13.99. Available in seven colors. 20. A Christian Louboutin nail polish collection so you get credit for designer purchases, minus teary eyes over expensive bloody shoes. Get each set of two colors from Nordstrom for $60. Available in three color combos. 21. An elegant metallic tiered accessory tray for winning you a *gold* star in both their heart and your wallet. 22. A pair of USB heated slippers that'll keep their feet nice and toasty when you're not there to rub them. Or are these meant to distract them from asking you that? Get them from ModCloth for $29.99 (originally $39). 23. An inexpensive two-pack of tassel earrings so your S.O. is seeing double with happiness (and you still have money leftover for dinner!). 24. A soothing combination of Himalayan salts and dried flowers for making bath time even more romantic than 100 rose petals leading up the stairs (which sounds just way too hard tbh). Get it from Free People for $48. 25. A pack of realistic LED tea lights to play up romance but also not light their house on fire, which is the greatest gift of all. Get an 12-pack from Amazon for $8.99. 26. A subscription to Birchbox, because a personally-tailored monthly delivery of their favorite makeup and beauty supplies is literally the gift that just keeps on giving. Each box has five sample-sized products that were chosen based off of the "Beauty Profile" that you fill out when signing up. You can go with a skin theme to clear up finicky breakouts, a hair theme to get shiny tresses, or a makeup theme for a professional-level glow up. 27. A set of vintage-y metal-carved silverware so their desserts and coffee feel like a Harrods excursion (you'll take them to Europe eventually). Get a six-pack from Amazon for $8.99.